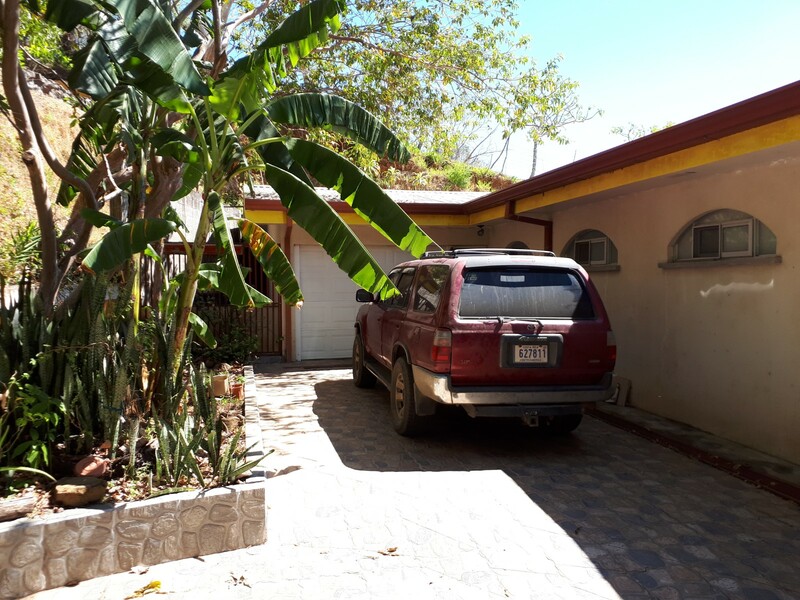 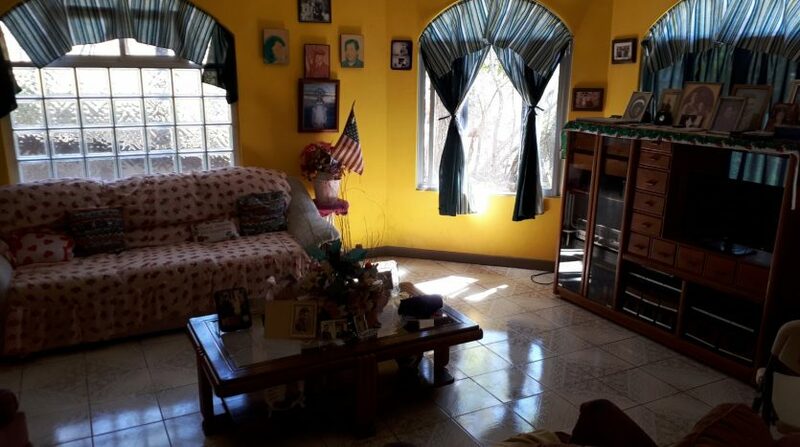 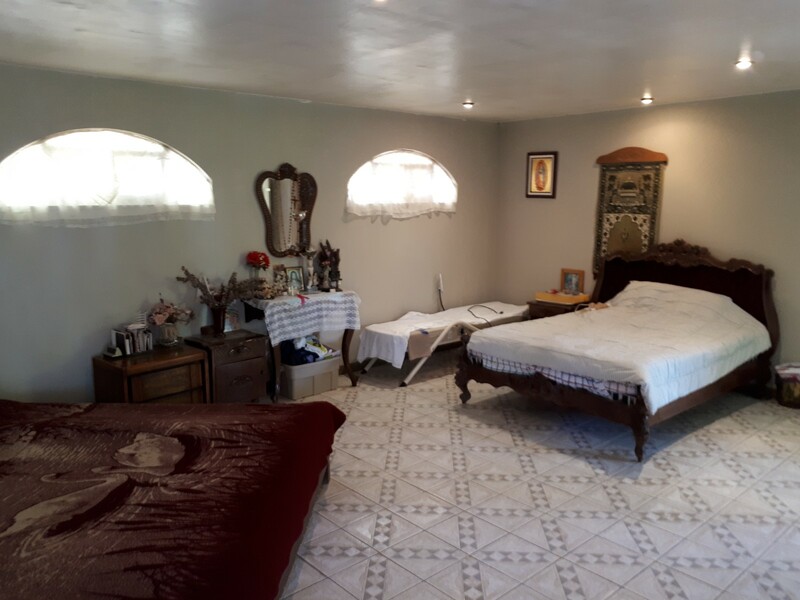 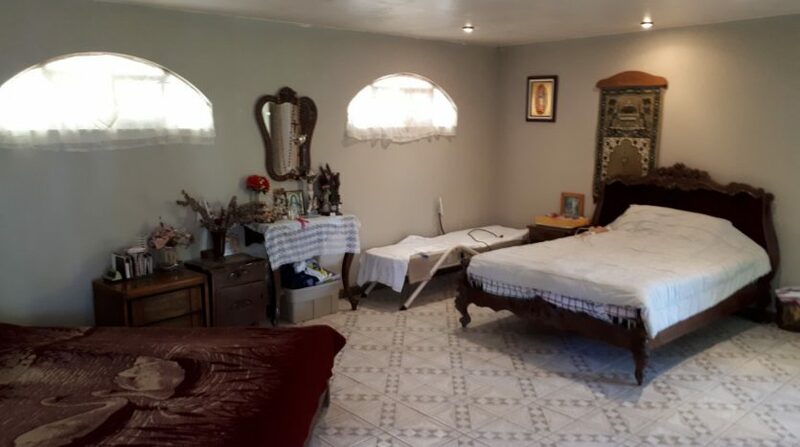 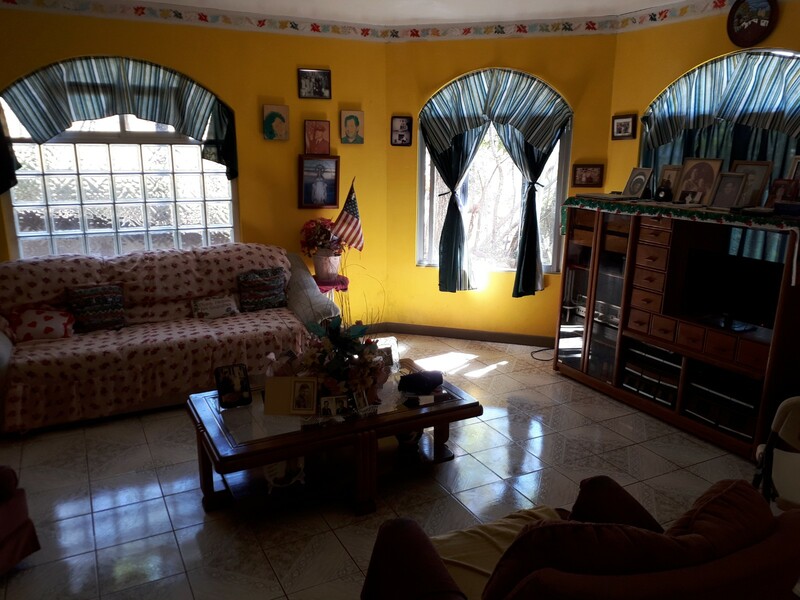 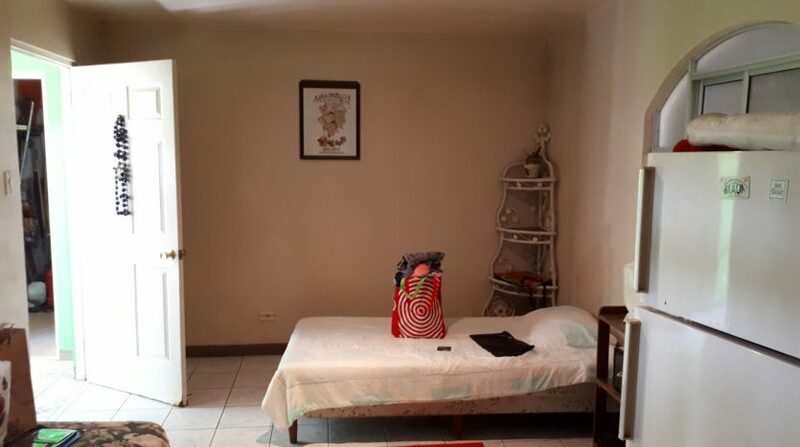 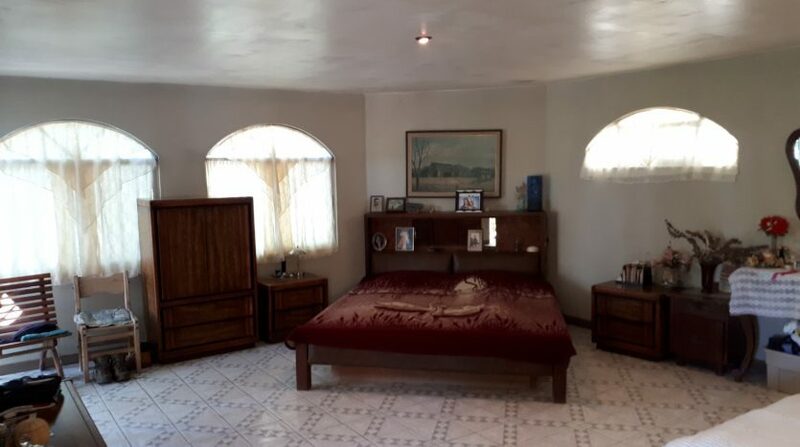 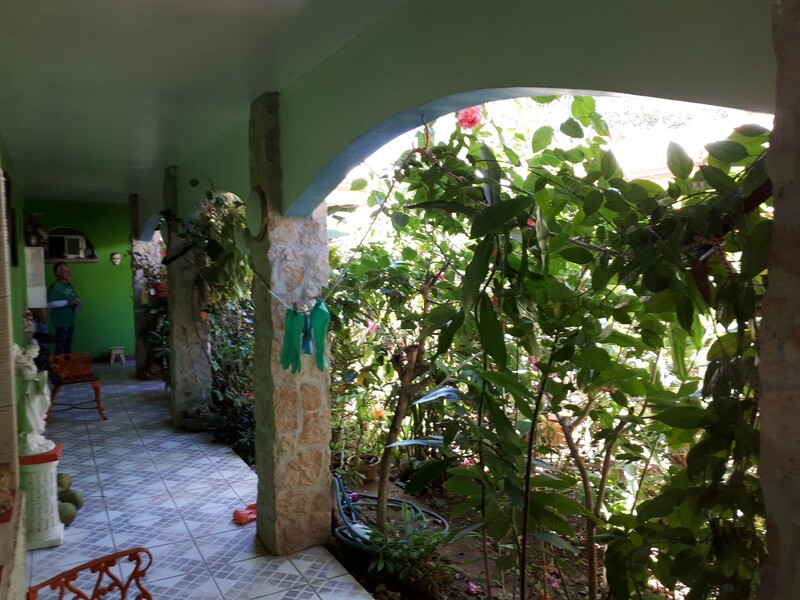 Just outside of Atenas, you will find this nice 4 bedroom home with 2 1/2 bathrooms, tucked away from the main road. 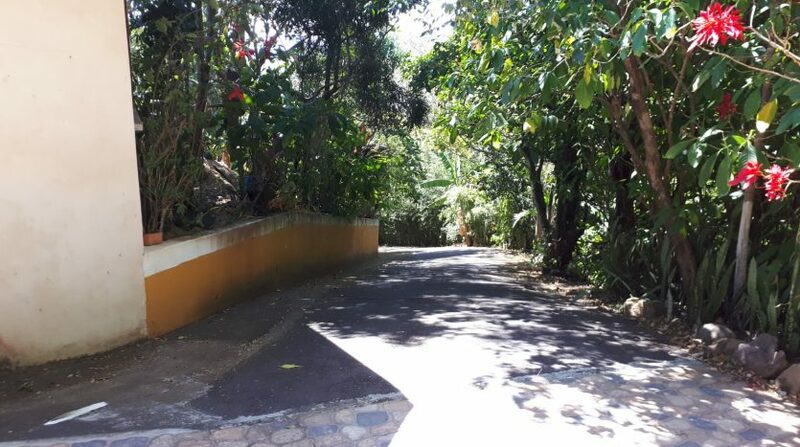 Passing the gate a nice paved driveway leads you past one of two cabins to the main house. 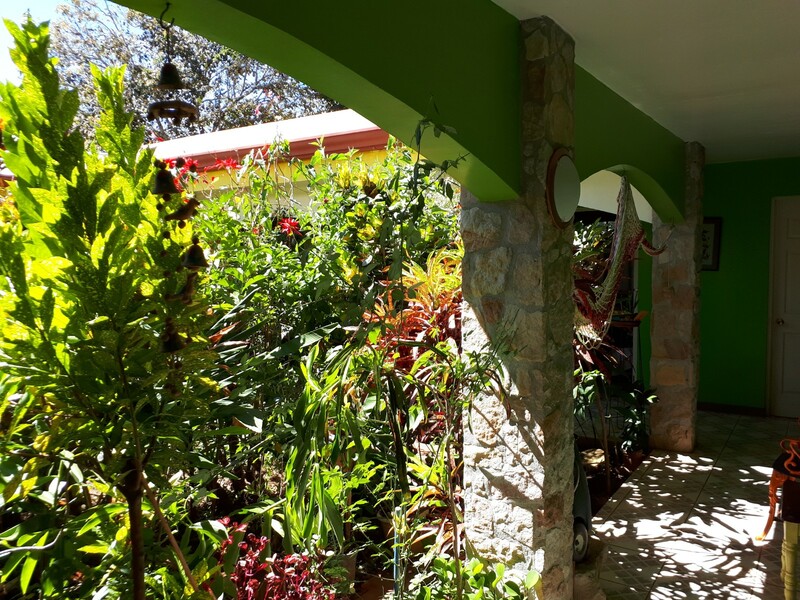 The main house has basically two entrances. 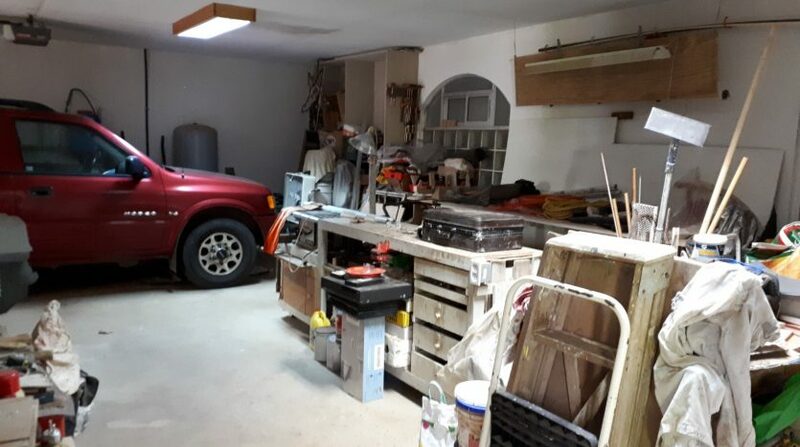 One is trough the garage and/or adjacent door, or on the opposite side of the house. 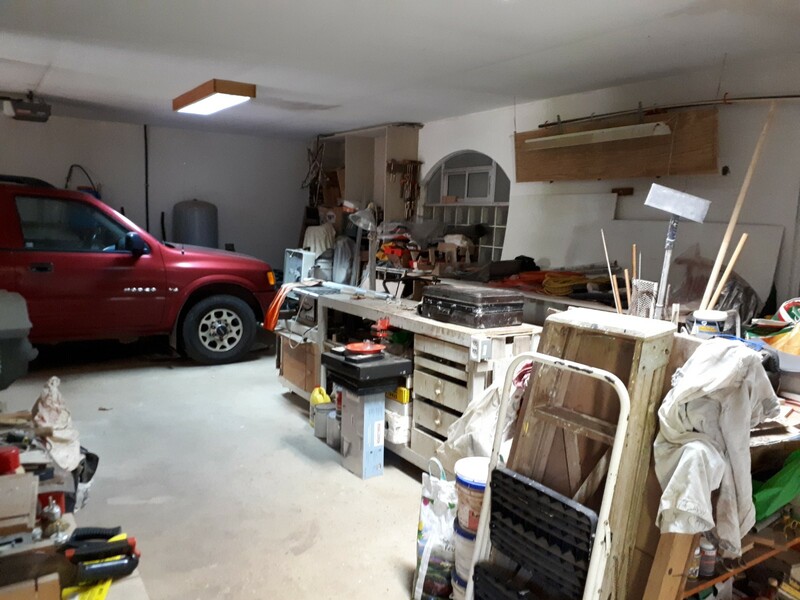 Entering the garage, which also harbours a very large workshop, you will be arriving at the internal covered hallway-style patio with its beautiful inside garden. 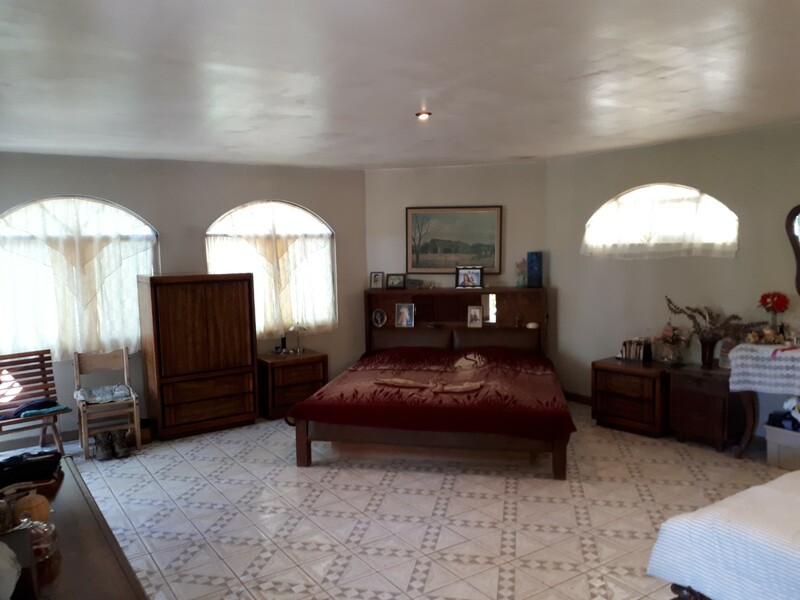 The 4 bedrooms are all spacious and the master bedroom can be called very large, which also has its own bathroom with jacuzzi. 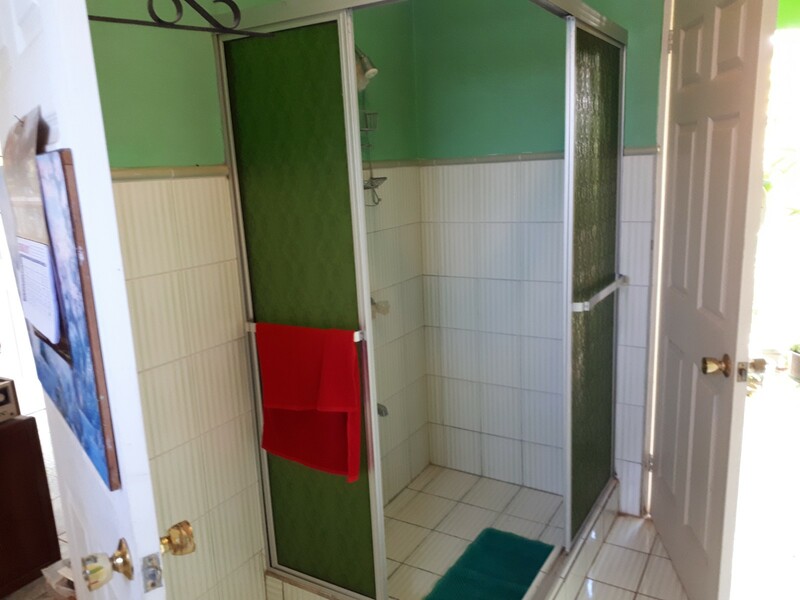 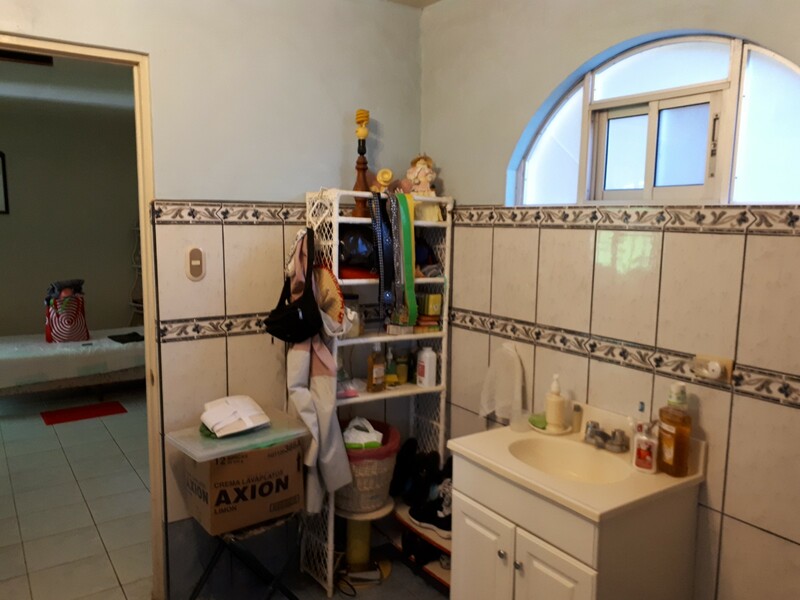 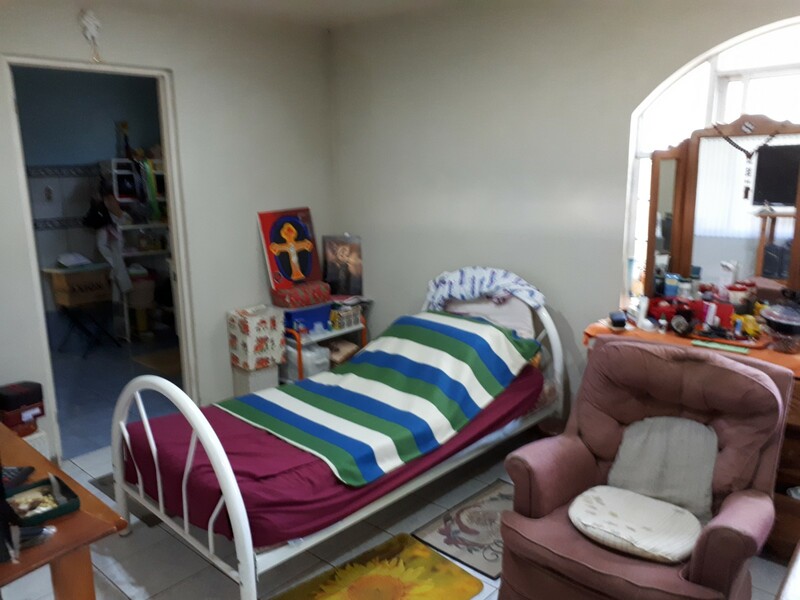 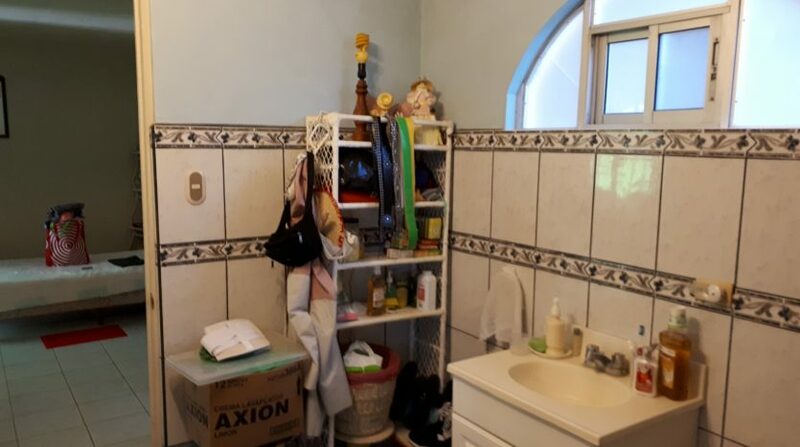 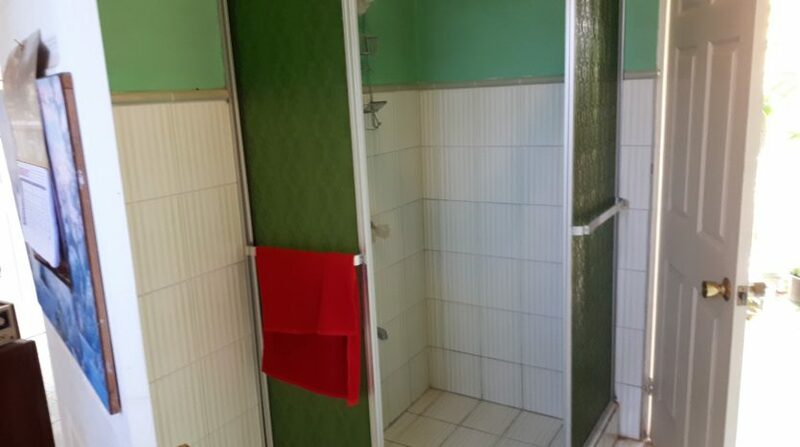 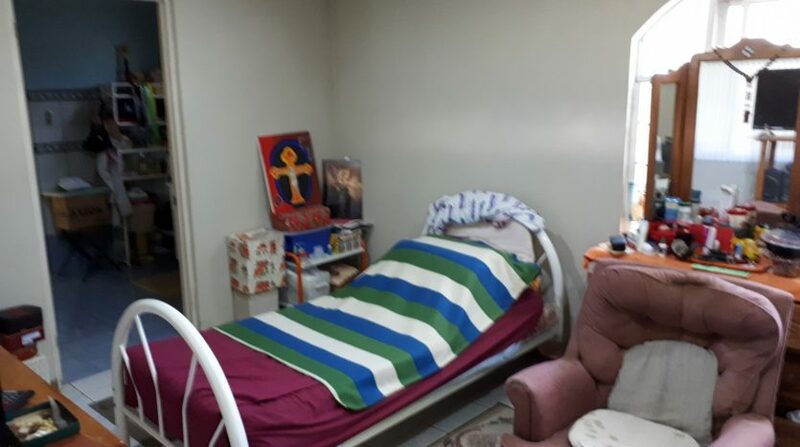 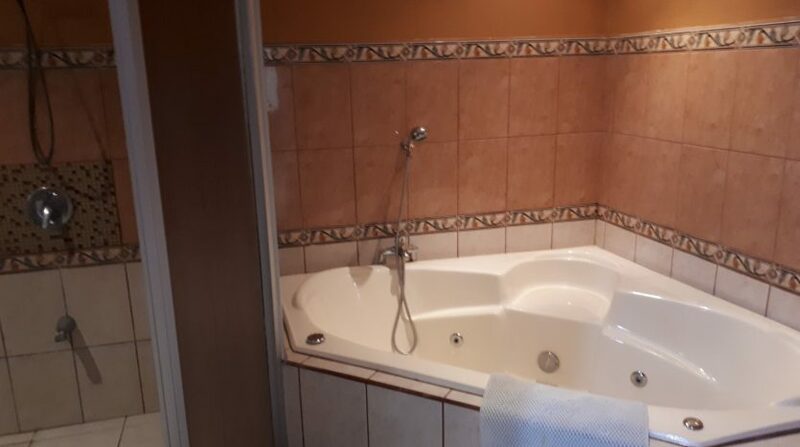 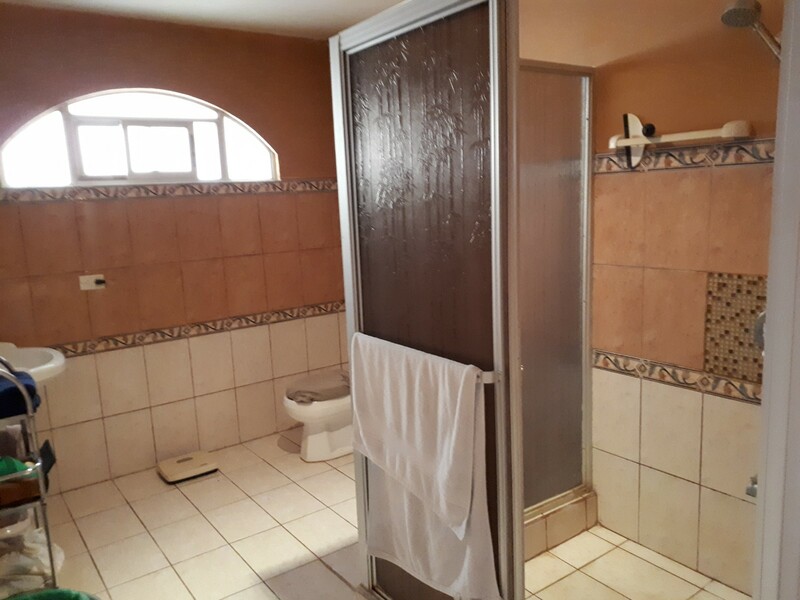 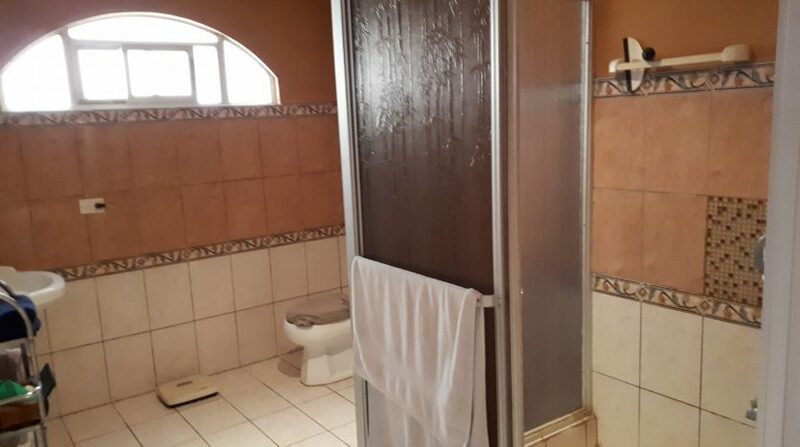 Two of the 4 bedrooms are connected via the 2nd bathroom. 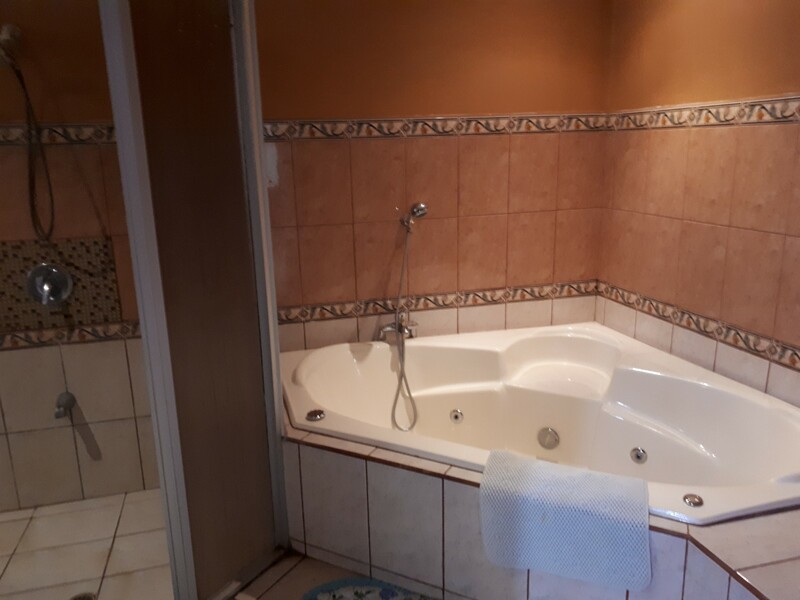 A half bath is present for visitors to use. 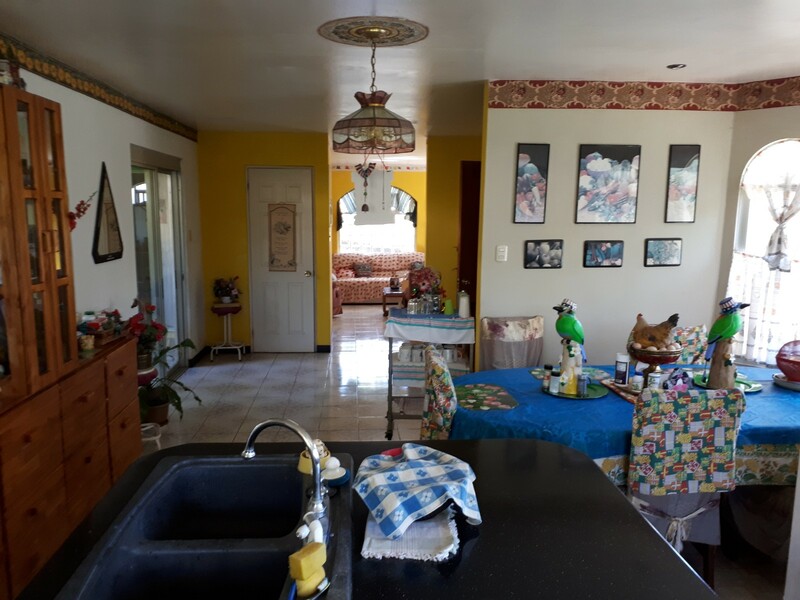 The living area consists of the living room, openly connected with the dining room and kitchen. 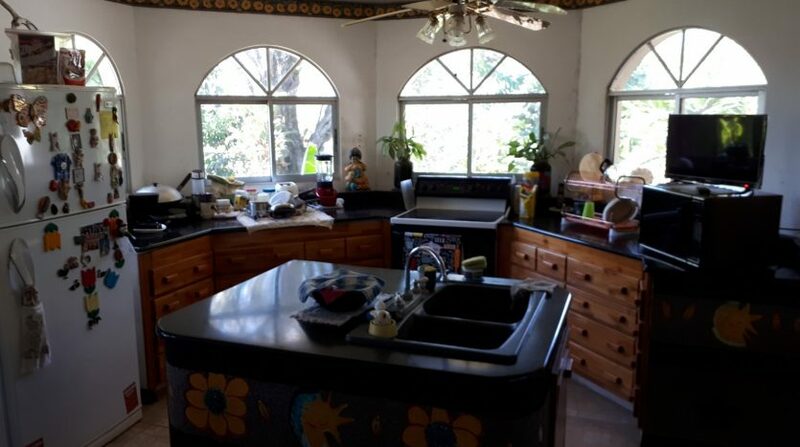 The kitchen has a cooking block in the middle. 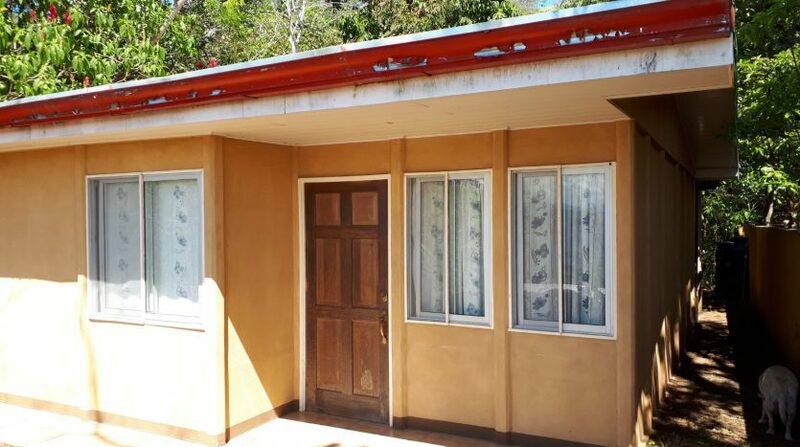 With the main house come two fair sized cabins, each with two bedrooms a bathroom and small kitchen. 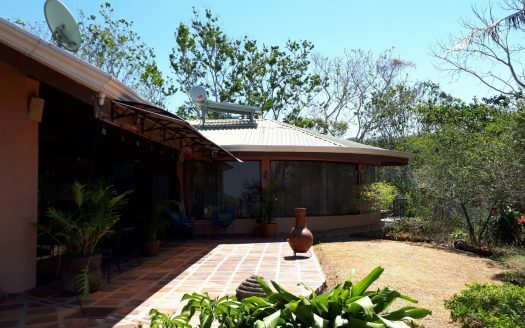 These two cabins are located at a convenient distance from the main house to give all three of them enough privacy and space. 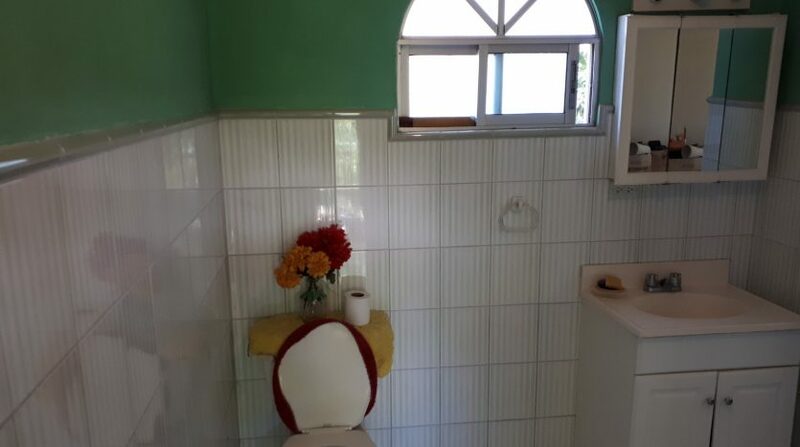 One could consider renting both cabins out. 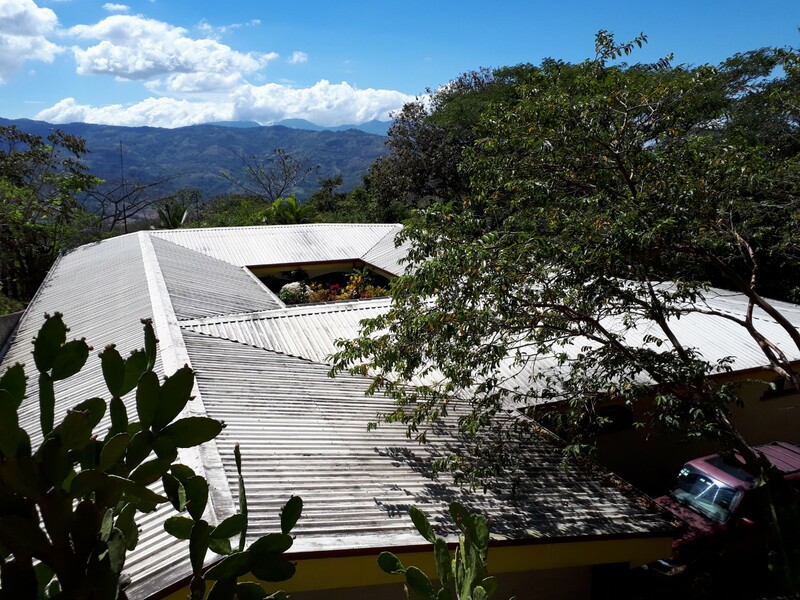 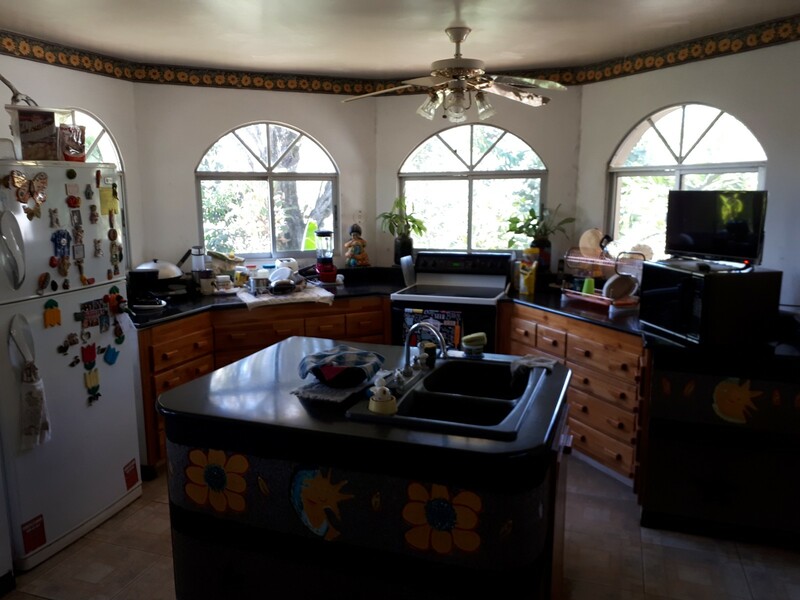 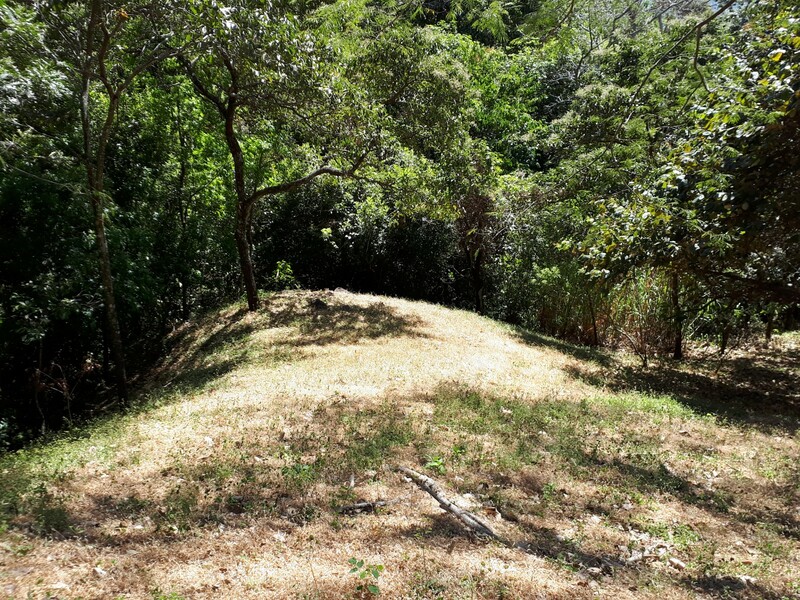 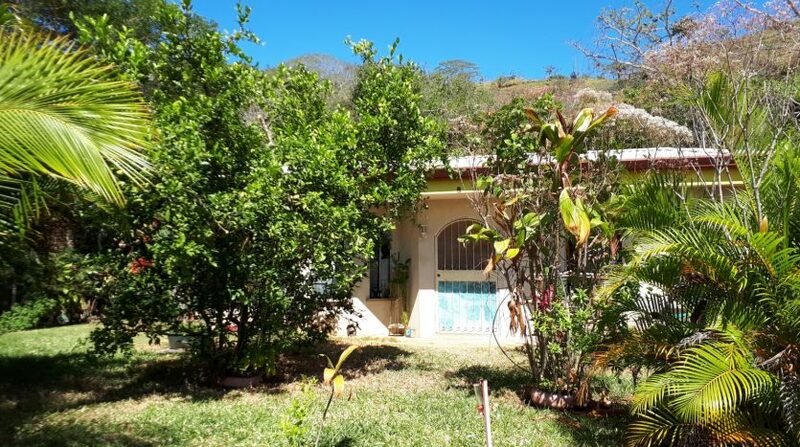 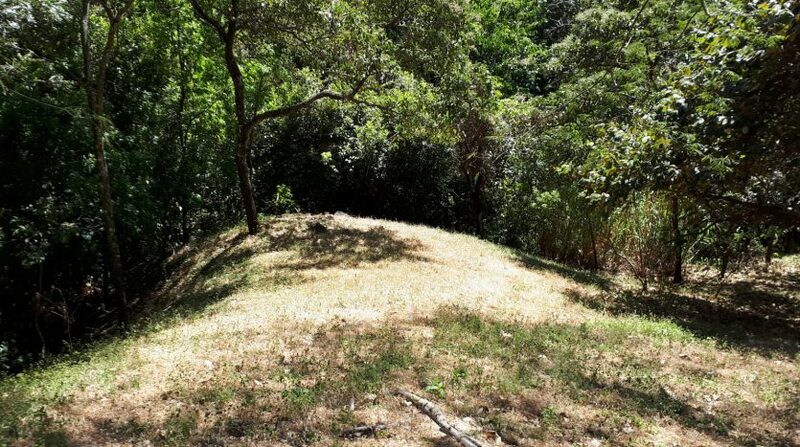 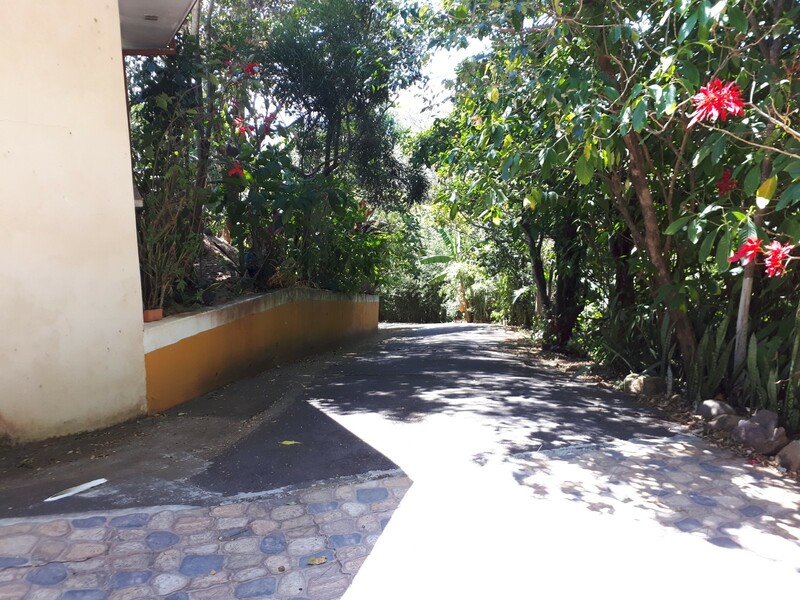 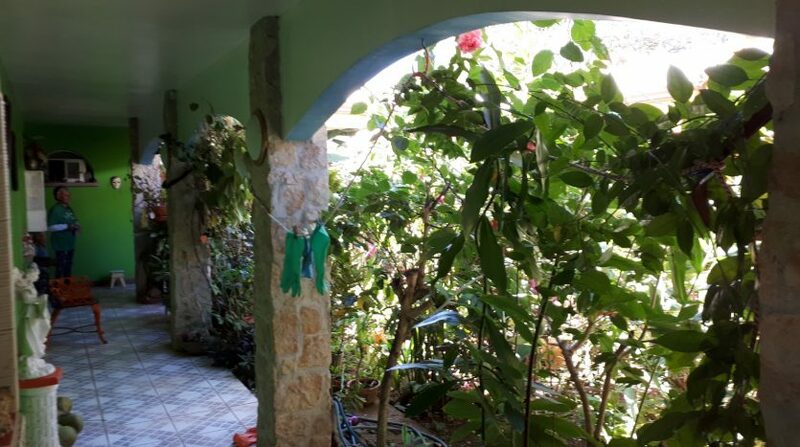 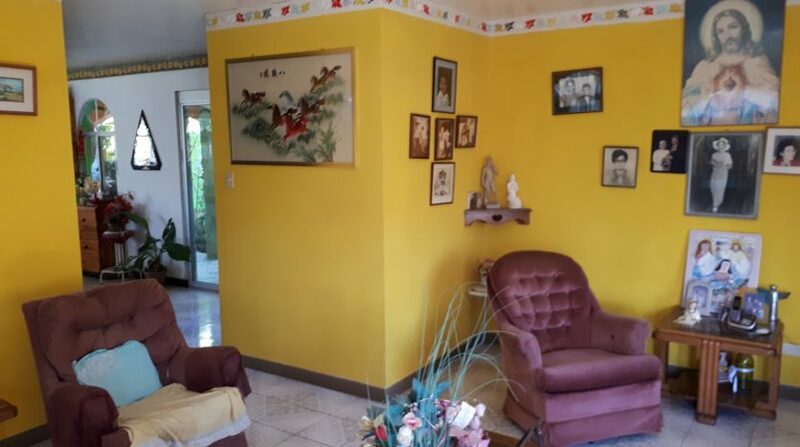 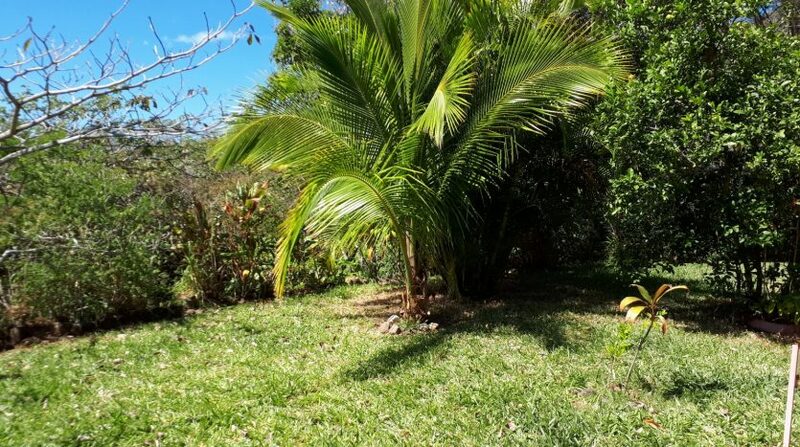 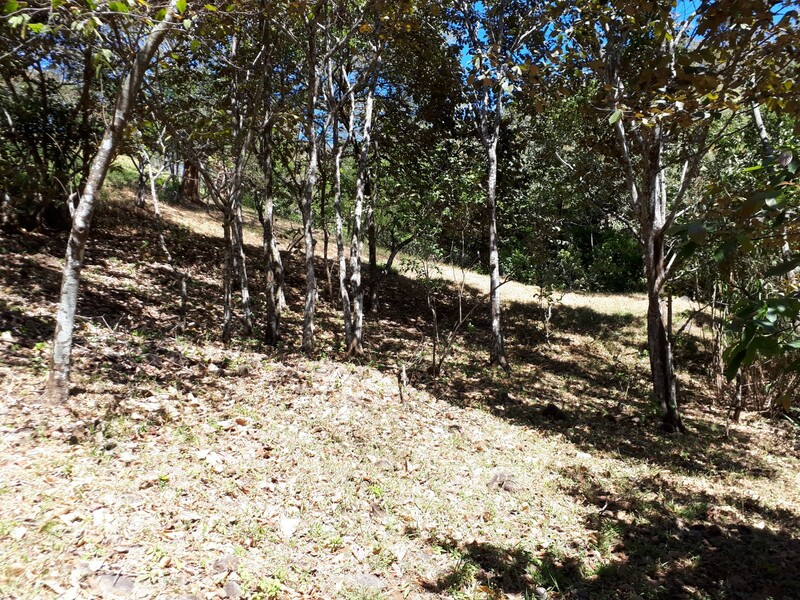 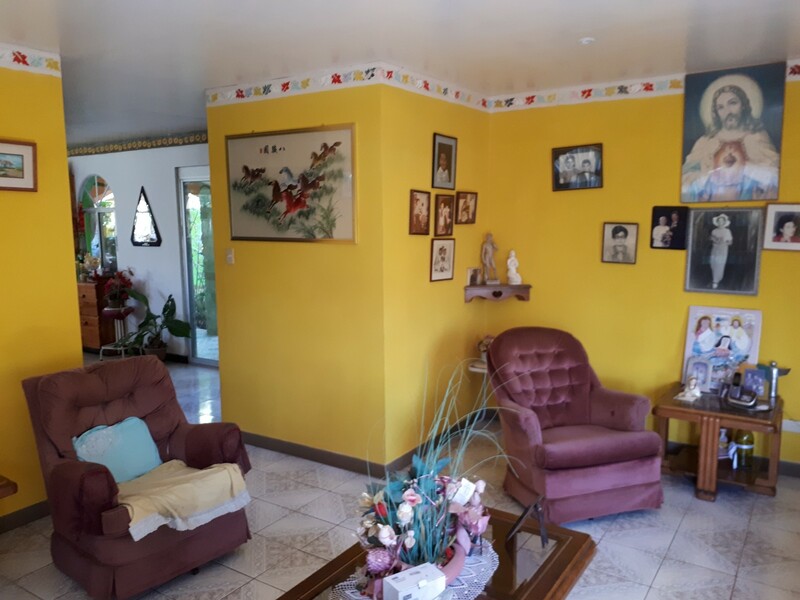 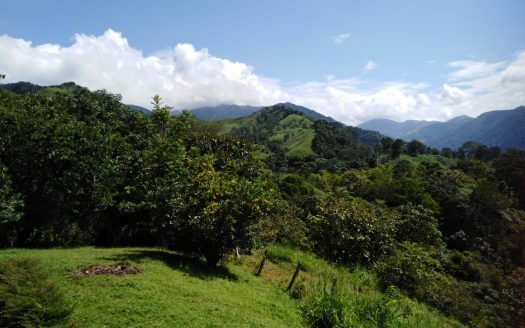 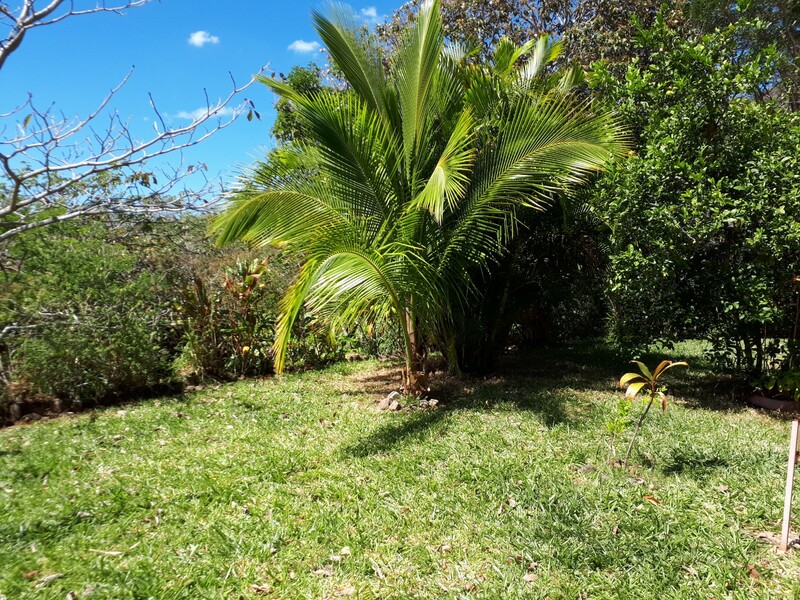 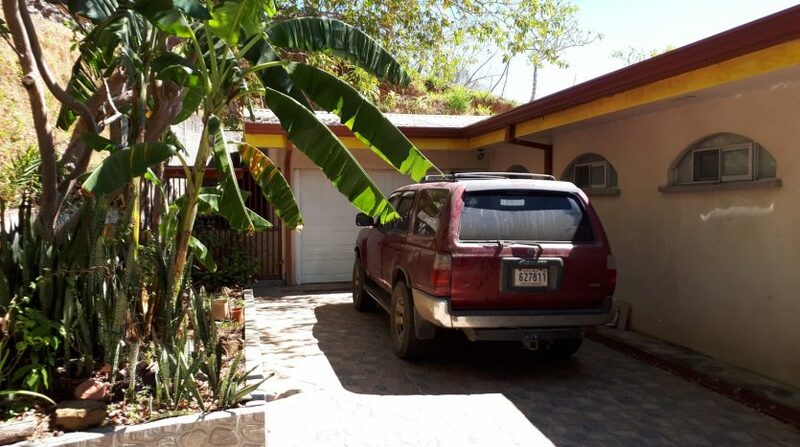 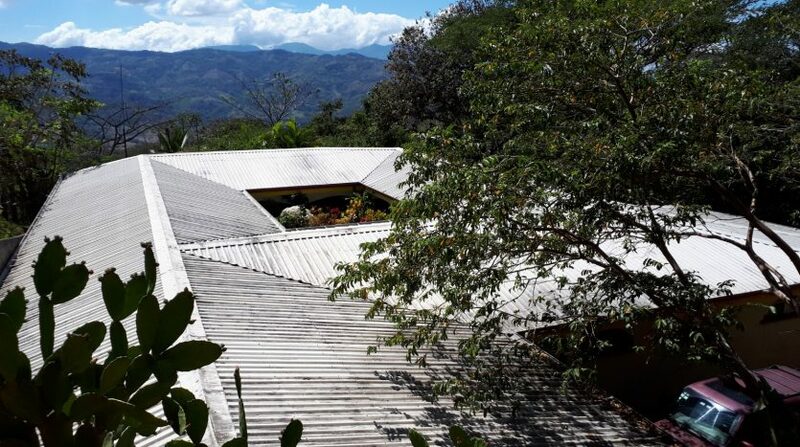 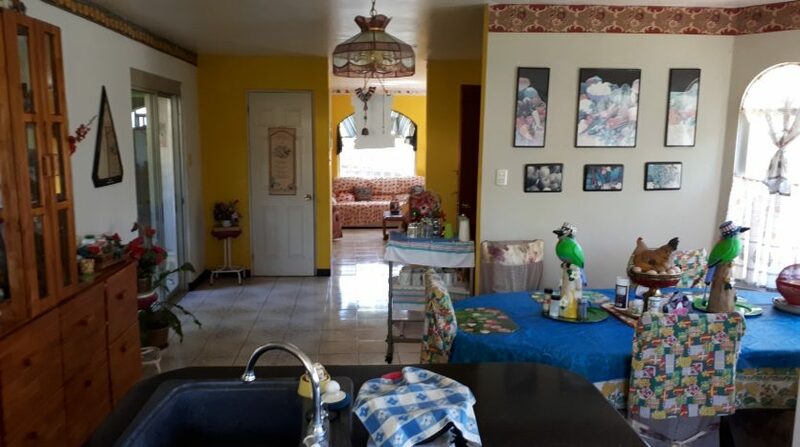 The upper part of this 2 acres plus property can be reached through a small forested area. 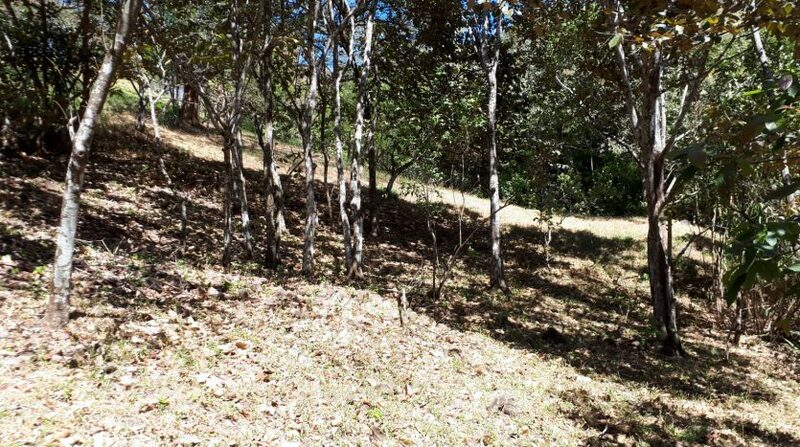 One finds some pastured land there, which could be used for planting fruit trees or even building a secluded cabin. 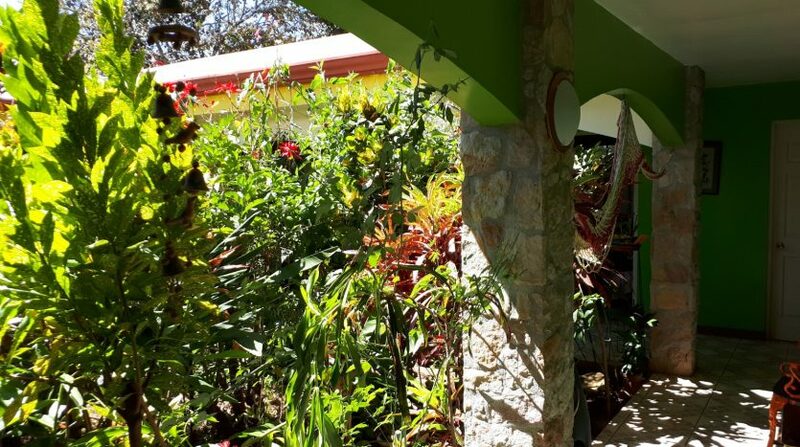 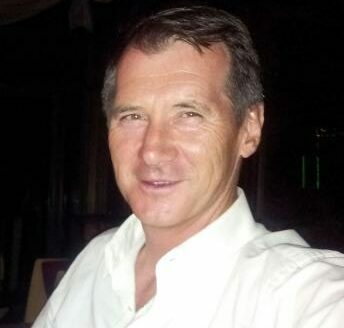 A water well and water tank guarantee year round availability of more than plenty of water. 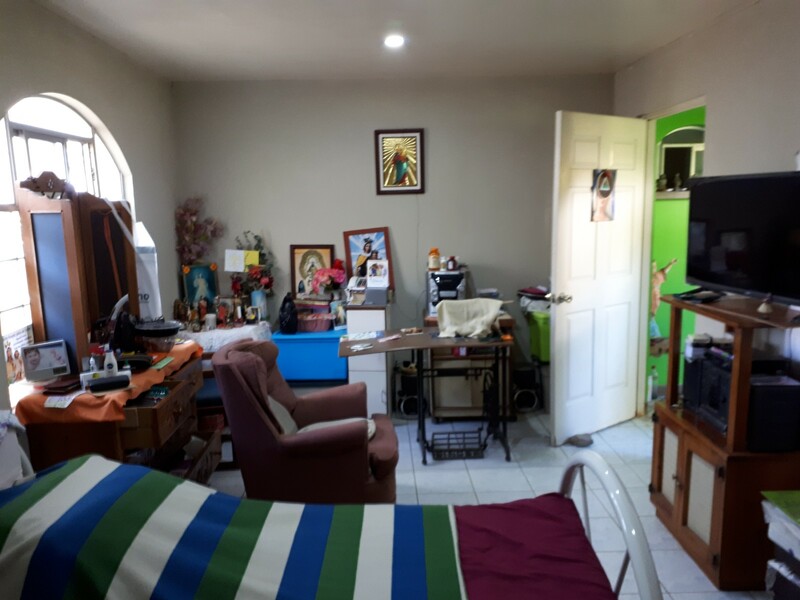 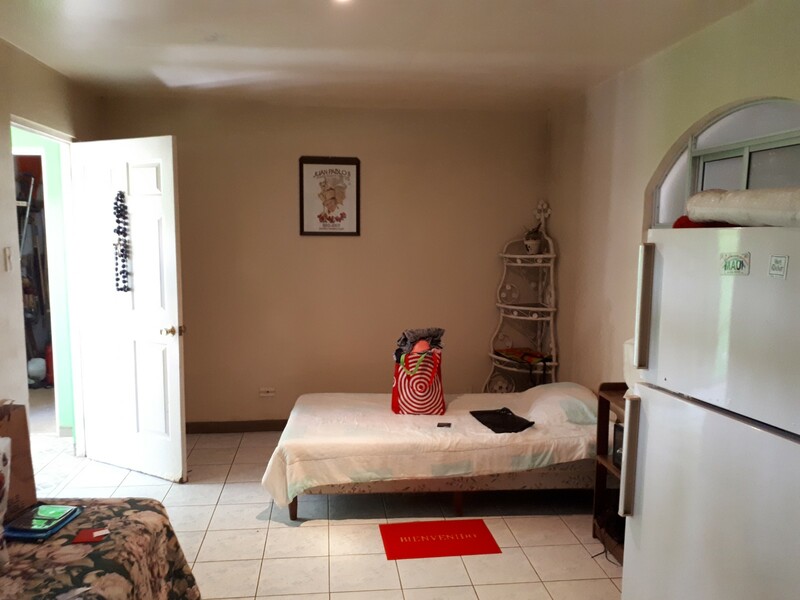 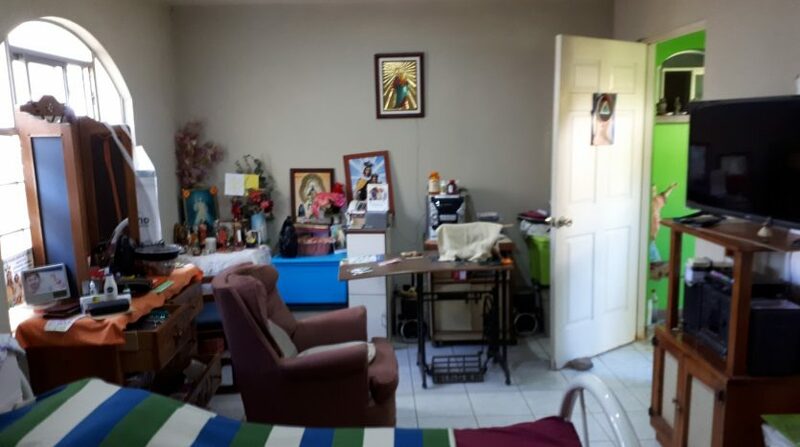 Located just 3 1/3 miles from down town Atenas, a short 10 minutes drive, this home can be found in a really nice quiet area, still close to all the amenities Atenas has to offer. 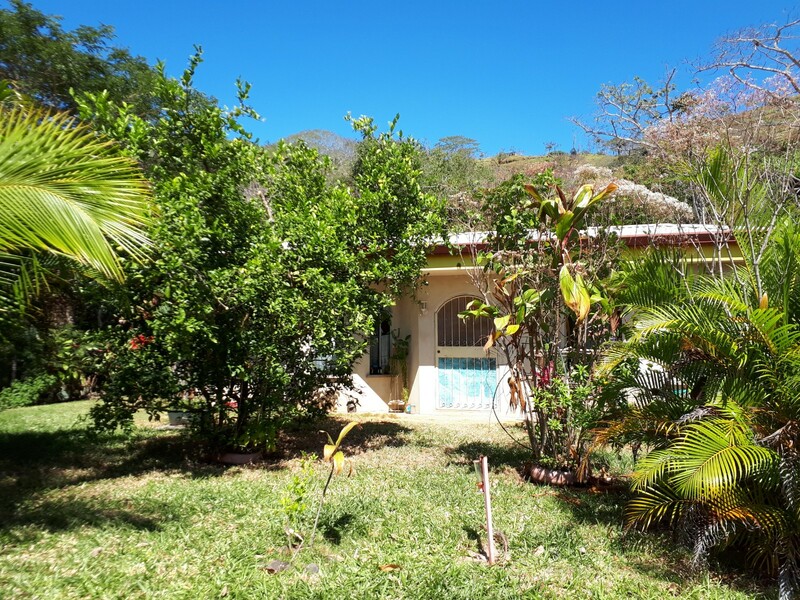 The house was built in 2002 and the fruit trees, which include lime/lemon, avocado and coconut, are all full grown and in full production. 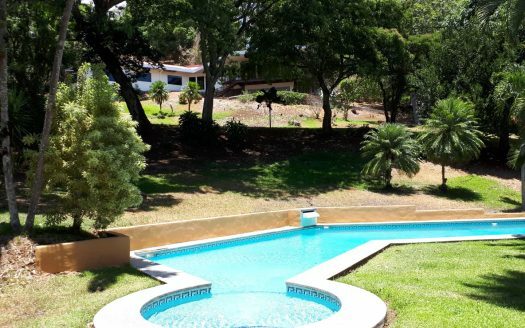 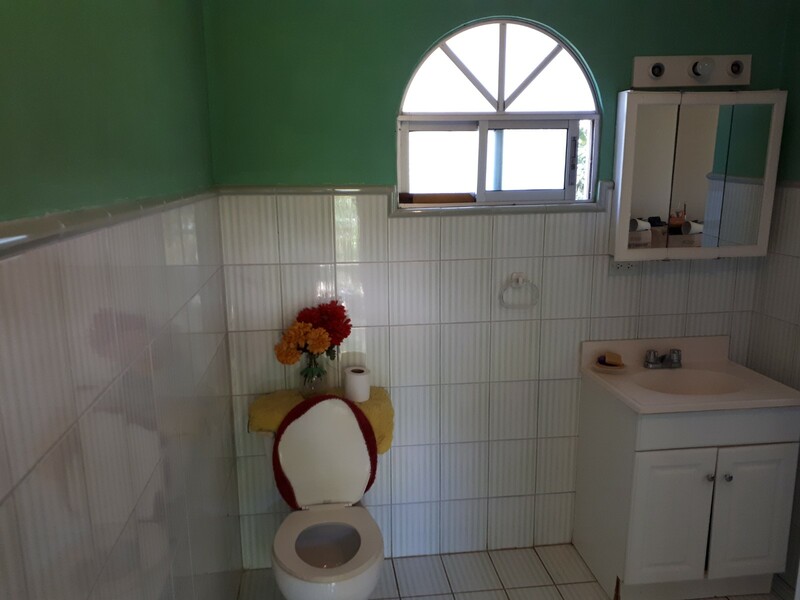 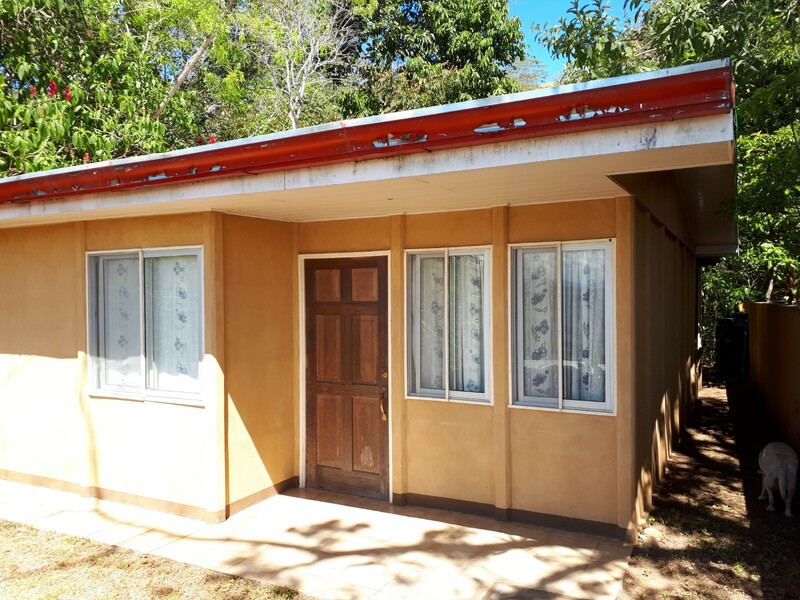 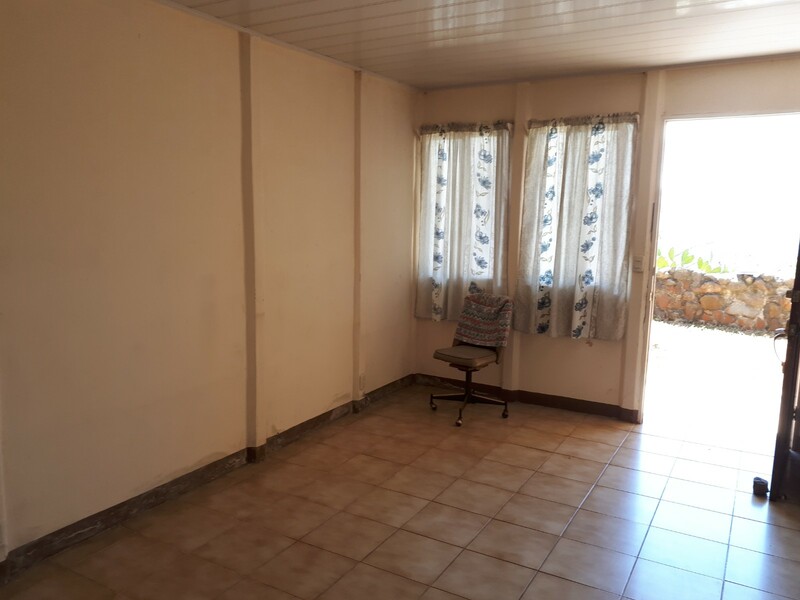 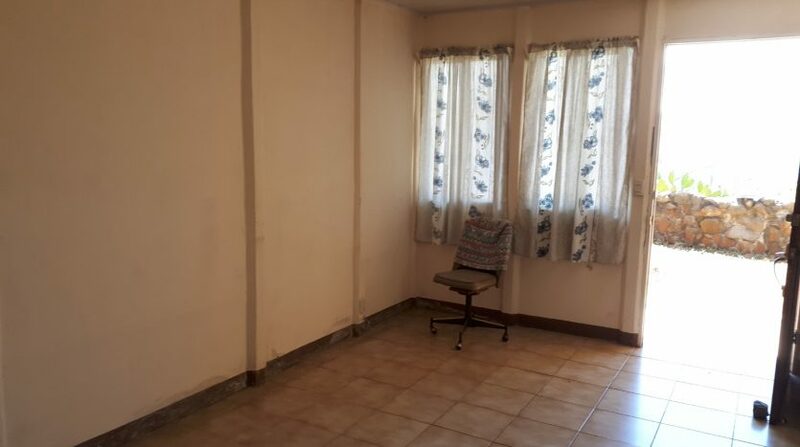 Come and have a look, as this house is located in nature and gives you all the peace and quietness you could be looking for.